Maxwell manufactures Roll Shear knives for Slitting & Trimming lines.Material used is forged alloy tool steels, high speed steels.Heat treatment is monitored and is processed by controlled equipment. Material selection and hardness values according to the knife applications. 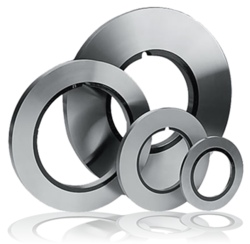 Precision and “Ultra Precision” Tolerances are available as per requirement. Surface finishes available are ground, lapped and polished. 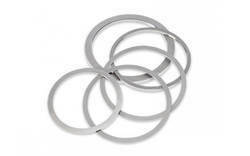 Maxwell manufactures steel stripper rings from bearing grade tool steel and these are available in thickness tolerances of +0/-0.0002” and with polished ODs. All rings are clearly laser etched for easy identification. If precision, quality and short lead time all matter, you are at the right place. 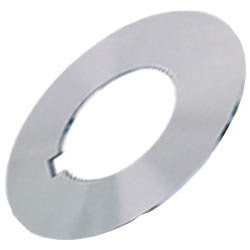 Maxwell manufactures and supplies both standard and custom size precision circular knives and circular rotary blades for all kinds of use from slitting, cutting and perforating to rewinding. Whether you need a top and bottom or dished circular blade or a circular knife with toothed, serrated,perforation and saw tooth forms, or even more complex tooth forms.Maxwell can turn your design into a blade in just days. It doesn't matter if it's paper cutting, food slicing, packaging, rubber converting, meat chopping, film cutting or foil converting, regardless of its use, our circular knives and blades are exceptionally made from quality ground hardened tool steels and stainless steel. 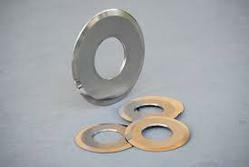 Offered cutters are manufactured in our well equipped infrastructure using advanced machinery. 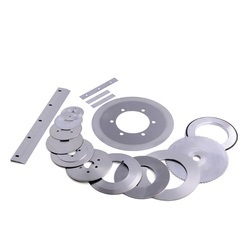 Appreciated for their impeccable finish, hassle-free cutting and easy installation, these products are highly demanded in automobile, paper and steel industries. 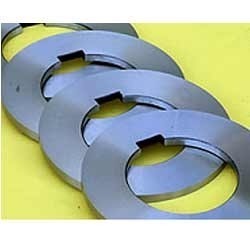 Maxwell Tools is a leading supplier of Rotary Shear Blades for Tube & Pipe cutting. 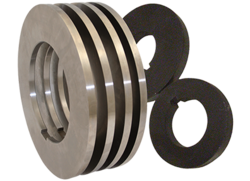 Our blades are made from the highest grades of tool steel including D-2 HCHC,M-2 HSSetc. We have the expertize to recommend the optimum edge radius to make your rotary shear blades cut cleaner and longer. Looking for Slitter Cutter ?